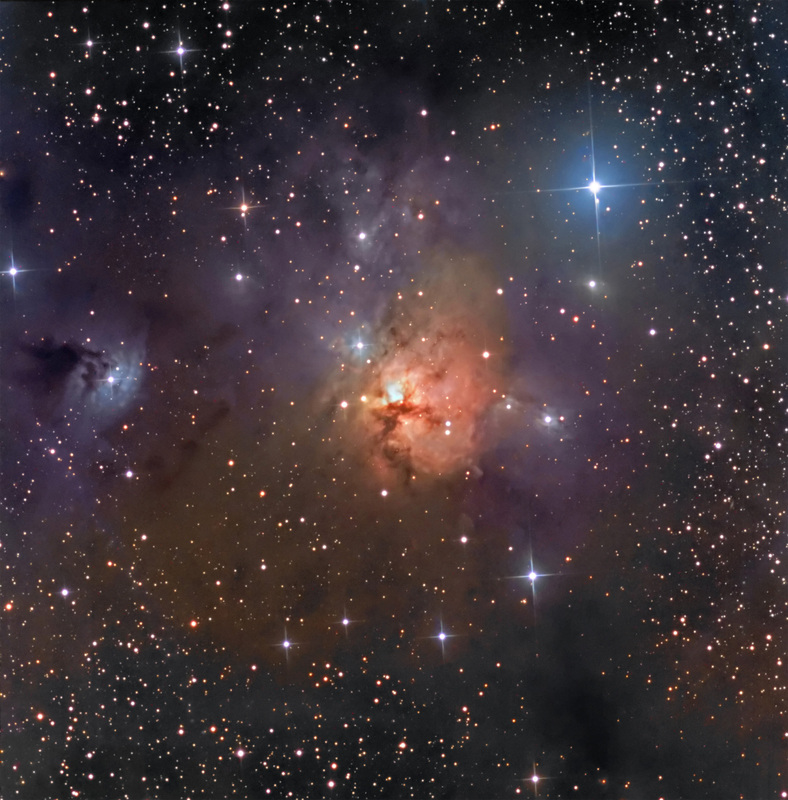 NGC 1579 (LBN 766, Sh2-222) is a beautiful reflection nebula in the constellation of Perseus. It is sometimes referred to as the "Northern Trifid". The dark cloud (L1482) owes its distinctive color due to illumination from a heavily reddened (AV ~ 10 mag), bright star, LkH-alpha 101 – a hydrogen alpha emitter. The smaller reflection object toward the left edge is IC 2067.